Let’s be honest there are only 3 determining factors to most people when it comes to picking out a computer chair. Those are comfort, looks, and price. PC gaming chairs are becoming more expensive so we’re going to look at everything to determine what is most valuable. Nobody is built the same way. While one PC gaming chair might be perfect for a 5’0 100lbs girl might be horrible for some of us big guys. We gamers sometimes spend more time in our computer chairs than in bed so it’s important we do our diligence in determining which PC gaming chair is best for us. Within this guide, you will notice us using the term “Gaming Chair” a lot but the term itself can be a bit misleading. 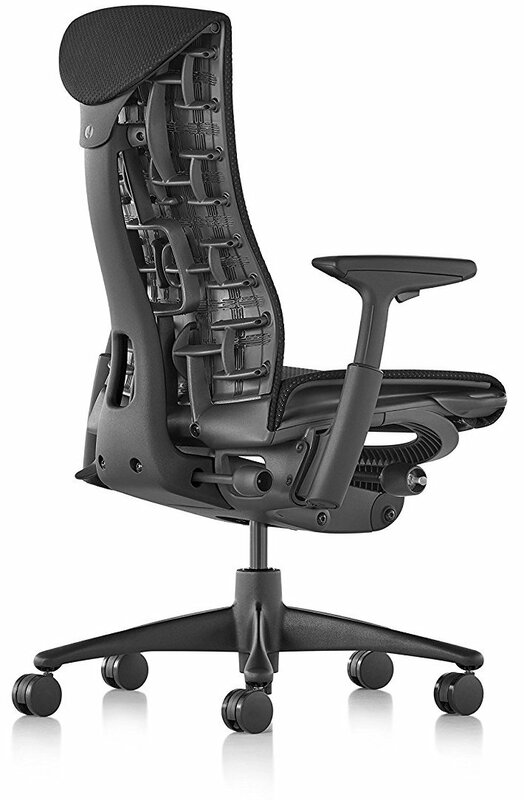 PC Gaming chairs are just rebranded office chairs with atheistic modifications. 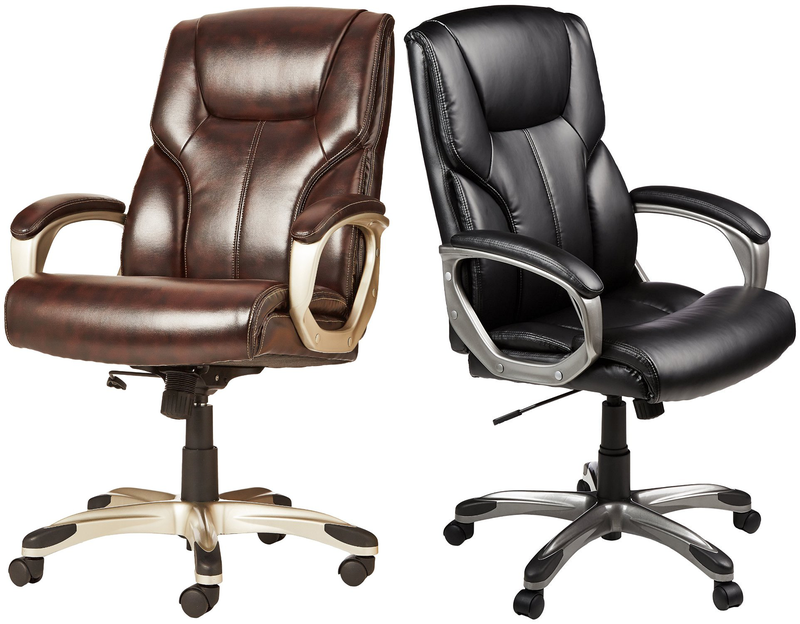 While our focus will be gaming chairs, we will be considering office chairs in our choices as well. So what factors should we consider when making our decision? Comfort isn’t just about the moment you sit down. In a study conducted in 2012 states, more than 80% of people using computers for more than 4 hours complain of back pain. You should consider the health implications when making a choice on which chair is right for you. Also, maintaining good posture and position is important for long term sessions wreaking havoc. Finally, always remember the 20-20-20 rule. Every 20 minutes, take a 20-second break and focus your eyes on something at least 20 feet away. The materials and build quality are important for determining the value and longevity of your purchase. While usually cheaper chairs will cut more corners in this department, higher cost brands don’t always mean better quality. Well-made high-quality gaming chairs will undoubtedly be able to give you a higher value long term if you don’t have to replace it every couple of years. 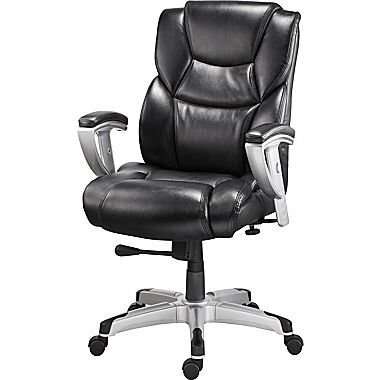 Material wise leather and PU offer great long term durability and cleanliness but microfiber and nylon are great for people who are prone to overheating or want added comfort. The seat pan of a chair is properly positioned when it allows for about two fingers to fit between the back of your knee and the front of the seat. A proper seat depth setting allows the user to sit all the way back so the user can position the curve of the seat to meet their curves when sitting back and utilize the lumbar curve of the chair back. There are two ways seat depth adjustment can be done. A seat slider is a lever on the seat that allows you to slide the seat in and out while seated in the PC gaming chair. 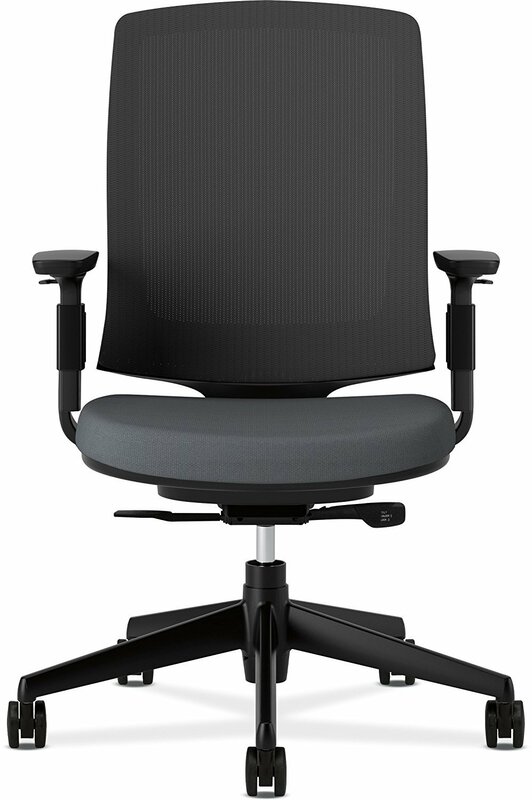 A back depth adjuster is usually a knob on the chair back that moves the back in and out rather than the seat. This type of adjustment is harder to adjust while seated. At their lowest point, they should be below thigh height so they don’t interfere with your elbow movement when they aren’t needed (ideal is height adjustable from 7.1″-10.6″ above compressed seat height). Alternatively, a swing back arm will also allow the user to move the arm out of the way when not needed. Ideally, arms should fore-aft and width adjustable too. A pivoting arm is a useful feature as it will allow some users to better position the arms for support while typing. Let’s be honest, we are pretty proud of how our gaming setups. The aesthetics are important to us and we want our style to blend well. Whether it’s a gamer racing seat or rich looking leather executive look, we all have our personal preferences on design. Since this is such a subjective trait, I will be weighing this trait lightly. , some of us are content with a cheap gaming chair. That value will be different based on your budget and needs. But we will break it down the best we can. In this category, you’ll find our choice for the best pc gaming chair on a budget. You’ll be sacrificing build quality and added features but when you’re on a budget, you’re on a budget. So what’s the best bang for your buck? Made from PU leather and mesh, Homall offers a pretty good value proposition. Coming in right under the $100 limit, you get all the basic functionality you would expect. Pneumatic height adjustment and tilt tension knob are standard as with all chairs covered today. Comes with a lifetime warranty on damaged or missing parts and a 100% no questions asked refund policy, thumbs up there. Build quality it’s about what you would expect at this price point. The frame has a slight sway to it and the seat padding isn’t exactly what you’d call “luxurious” but it gets the job done if you’re not expecting to feel refreshed after a 12-hour gaming session. The installation process is a bit of a problem with this chair but for a cheap gaming chair you really can’t go wrong with the Homall. The AmazonBasics High Back is a pretty damn good buy for the price. If you’re more concerned with comfort rather than style I would put my money on this. It has all the basics just like the Homall, but, it’s a lot more comfortable with its extra padding. It only comes with a 1-year limited warranty, which isn’t great, but since it’s an Amazon product you should expect them to handle the customer service with extra delicacy. If you need a pc gaming chair on a budget, this is a solid buy. Here is where I feel you’ll get the best value. With a little extra cash, you get a lot more ergonomically sound options. PC gaming chair brands have a lot more wiggle room to improve their products with. With the extra headroom you get a lot more options and build quality. With an adjustable lumbar support you can make sure you don’t suffer too much back pain after a long gaming or work session. Finally in this price range we can get our much needed height adjustable arm rests and adjustable backrest. Weight capacity claims up to 300 pounds, pretty good! There is an optional addition of a footrest, which might be a gimmick but for $30 and still keeping the price under our $250 point I wouldn’t mind kicking back and playing Rocket League with a controller time to time. This PC gaming chair comes with pretty phenomenal build quality and a lifetime warranty on the frame. Overall I would consider this chair a top contender for overall value and highly recommended. Okay so you love the racing themed PC gaming chairs. They’re eye candy to us. Lets find the absolute best ones on the market and spare no reasonable expense. (No we’re not reviewing the insane hydraulic simulator seats but damn are they awesome.) Well let’s get into it. Noble Chairs has done a great job establishing themselves as the premium brand in this market and their product design and features sets the bar for the industry. 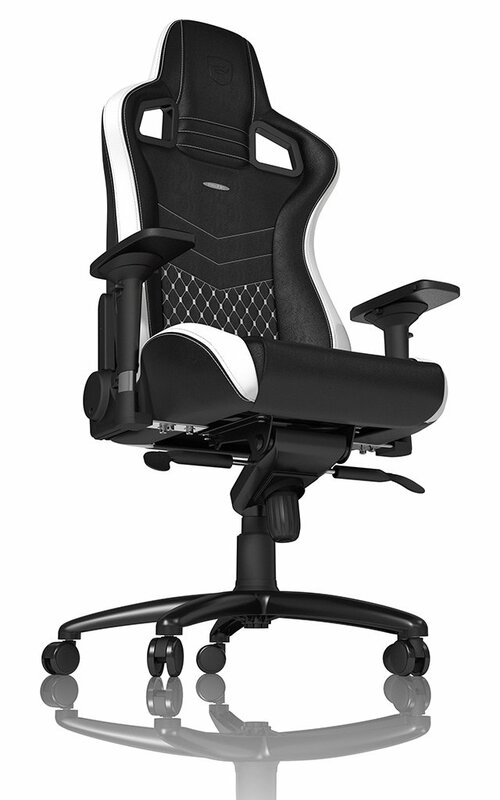 As a gaming office chair the Epic Series has everything you would expect for a $500 price tag. Standard is a Sturdy steel frame, 4D armrests with a nice soft blasted cushion, rocker adjustments, reclining mode, and genuine leather. 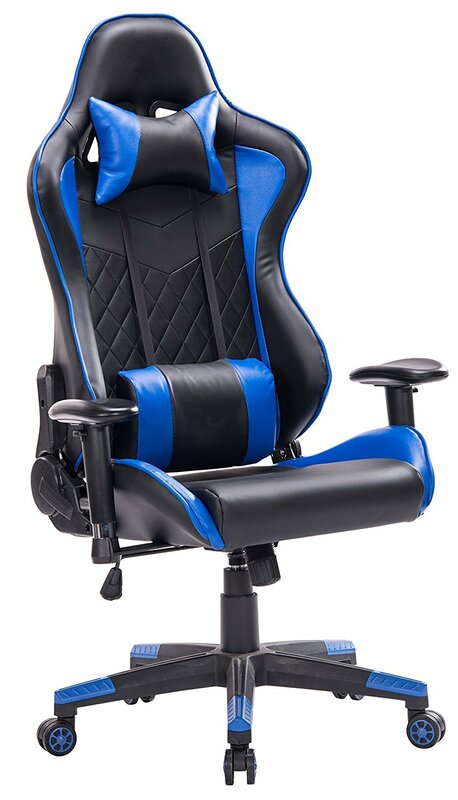 It comes with a lumbar pillow but the back seat doesn’t offer much support when sitting up straight and isn’t the best solution for long term comfortable gaming, this is to be expected as there are no great solutions on the market for racing style PC gaming chairs. We all know DXRacer, and maybe you’re really looking into getting one but they’re a bit confusing on which models do what. 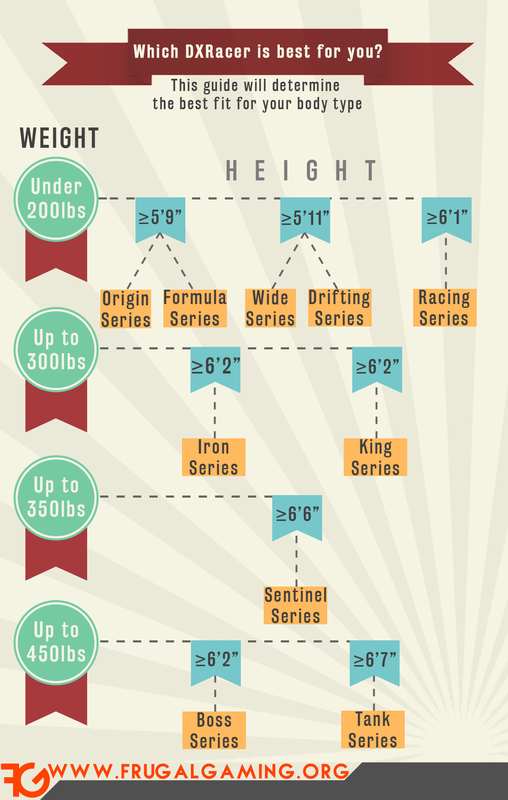 A quick look at this the info graph provided and you can determine what series suites your needs. 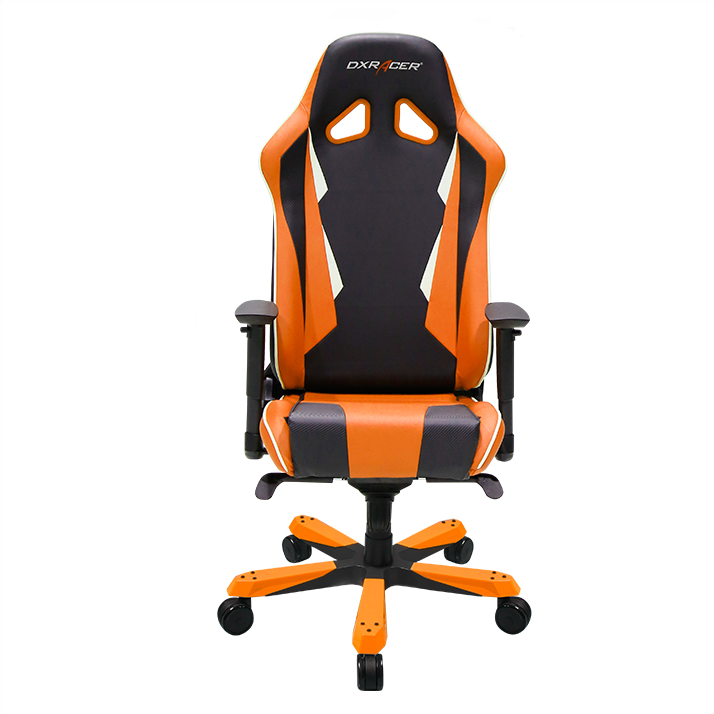 Overall DXRacer has excellent build quality with a little something for everybody. Find the one for you over at Amazon. Straight to the point, not all chairs are built with heavy set people in mind. As a 175lbs guy I can’t really determine what’ll be best for someone who’s heavyset. Using Reddit as a thinktank I’ve got what is determined to be the best choices for those of you who needs some extra cushion. 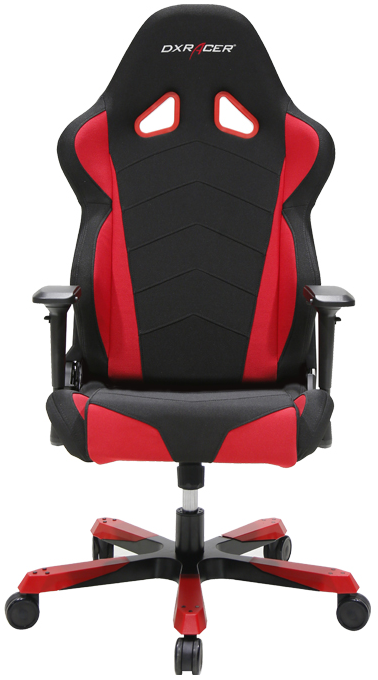 This DXRacer gaming chair series has built this chair with heavier people in mind. Extra build strength gives this chair a weight capacity of 450lbs while still looking pretty awesome. As with all their models you get a lifetime warranty on the frame and 2-year warranty on accessories. 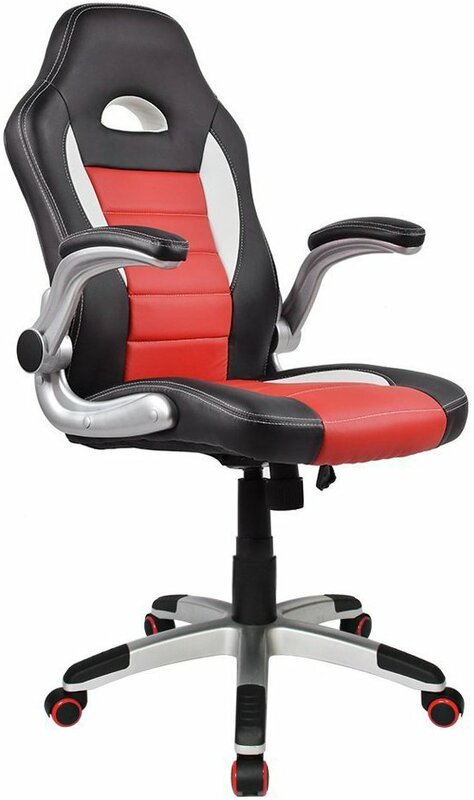 If you need a wide base this PC game chair is perfect for you. Here we have what’s said to be the best overall best chair for pc gaming when it comes to bigger men and women. Although it doesn’t have many armrest options, it comes with built-in lumbar support and pneumatic seat height control. At a couple hundred less than the DXRacer, this chair is a fantastic pc gaming chair on a budget. The Steelcase Gesture is the pinnacle of modern engineering and design. 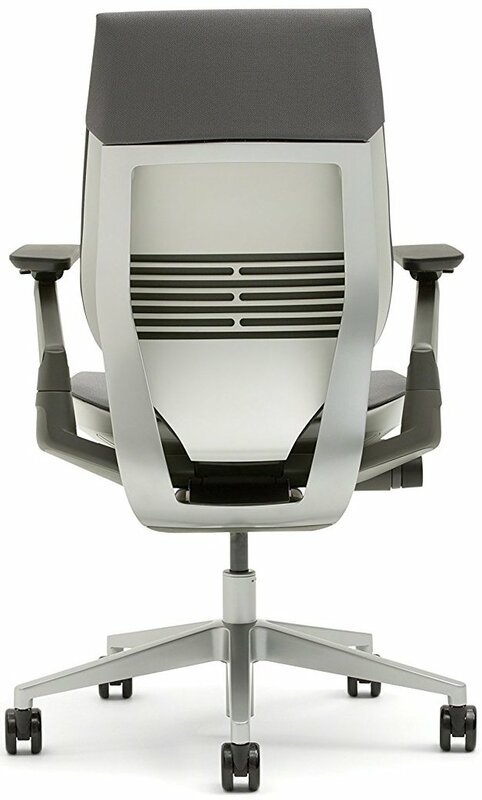 Hovering around $1000 it has everything you need for comfort and proper posture. It’s the absolute best PC gaming chair 2016. Head on over to Amazon to see more detailed information on this beauty.
. If you have any questions or suggestions on what you think we should add feel free to add a comment or contact us. Good hunting.